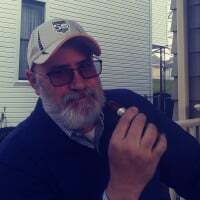 I was just wondering if anyone has smoked the CH Jericho Hill yet and what their thoughts were...I had the OBS and Willy Lee pre-release's, and had two 44S's yesterday. It is a considerable step up in strength level for them and I think they have nailed it yet again. Anyways, I'm a huge fan of CH and good friends with one of their employees...always interested to hear anyone's experience with their cigars. edit- I thought I bought two of those, but they were the Angels Anvil instead. Yeah, I've smoked about a dozen over the past few of months. The LBV and OBS stick out as the most flavorful sizes for me. Smoked a .44S Friday night..loved it..might burn the OBS tonight. Smoke one ROT last night for the first time. The Willy Lee. I think I like the Las Calaveras better, but this was damn good. Some age could do them well. As of today I have smoked 2..the .44s and the OBS...they are right on the same level as the Las Calaveras with a slight edge to the LC due to some spice factor that I don't get from the Jericho Hill..cant wait to see what age will do for these bad boys!! Sounds great and have heard nothing but good things about both this and the LC. It's cool that the LC will be a yearly release but heard the blends will be different so have to see about snagging some from this years batch. I feel you...Ive thought about picking up another box of Las Calaveras before they are gone for 2014. Finally had one today, and damn was it good. Way better than the LC in my opinion, right up there with the Angel's Anvil TAA. Is one of the sizes named "The Gunslinger" or "Roland Deschain"? Gotta love a cigar inspired by Johnny Cash! Gotta get me some of these!